Session 204. I had a nice session at Mentone in about 15 knots during the morning. 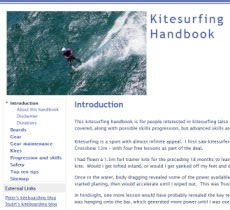 There were no other kites or boats about. I took out the Switchblade 10 and the Sector 60 board and had no trouble making it up to Mordialloc. 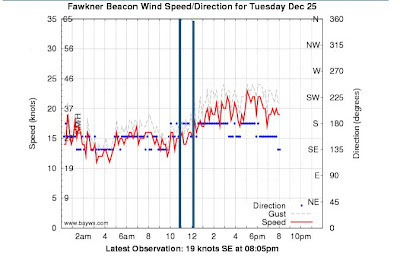 I got some nice speed in the south easterly on the way up, cresting the small swell. Before I left home I put some Locktite on the screws securing the four fins of the Sector 60 and tightened them with a larger Phillips head screwdriver. I was suprised at how little wind there was when I turned around at Modialloc, but the wind also dropped a little too. 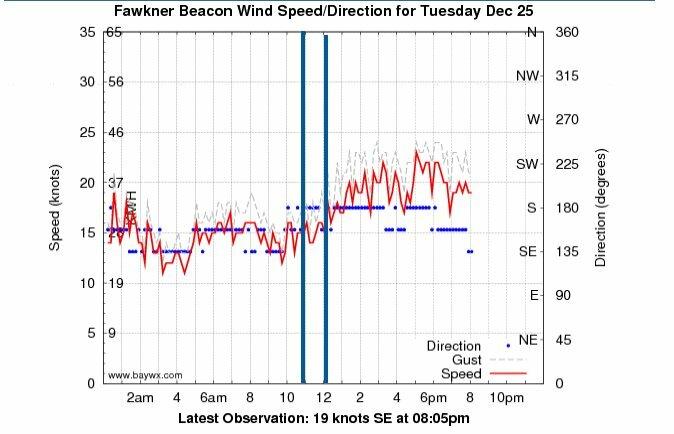 I got some good speed bearing slightly downwind on the return leg, but I was thinking I should have taken out the Lithium 12 to get some extra low wind grunt. I rode a few of the swells on the board for fun, then came in through the small surf. Landing the kite in the light wind was easy. I packed up and headed home in time for the large family Christmas lunch that was on during the afternoon.